The German airline Lufthansa has offered a number of concessions in an attempt to allay competition concerns over its plans to buy Air Berlin assets, according to EU antitrust regulators. The European Commission expressed concern regarding Lufthansa’s potential dominance in Germany as a result of the takeover plans and extended its deadline for a decision on the deal to 21st December. The previous deadline was 7th December. The regulators would not elaborate on what or how many concessions Lufthansa had . 21 from Dec. 7. It did not provide details of Lufthansa’s concessions. Some industry insiders believe the German mega carrier will offer up some of the slots owned by Air Berlin along with its subsidiary Niki. 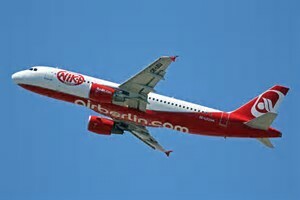 It was back in August that Air Berlin filed for insolvency in August and was subsequently carved up, with Lufthansa buying Niki and LGW, plus some short-haul planes, for 210 million euros ($249 million) to expand its Eurowings budget brand. However, many fear the deal gives Lufthansa too much dominance in the domestic market as well as in Austria. The Commission determined Lufthansa, Niki and LGW’s activities overlapped on more than 100 routes. On around half of those routes, the combined market share would be above 60 percent, while on some routes Lufthansa would also have a monopoly.